With the year drawing to a close, Bob’s Watches’ brand ambassador, Jamie Flynn, reflects on his year of thrills and triumphs. 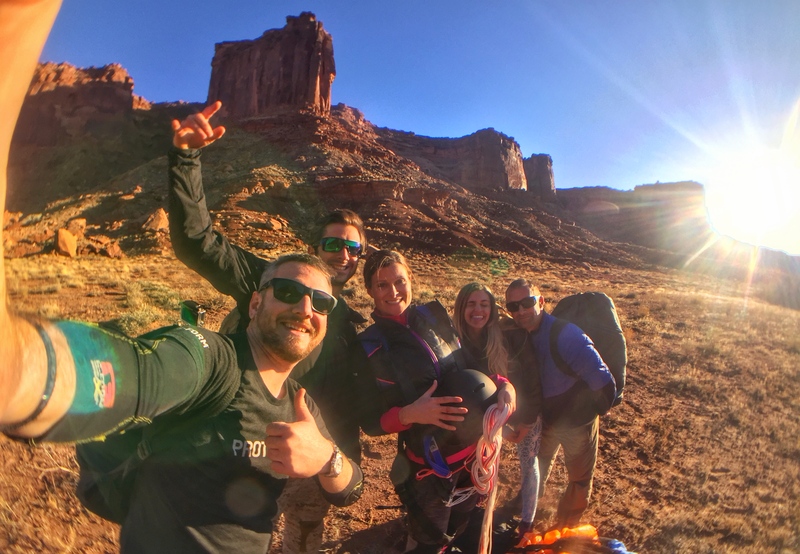 As a professional wingsuit pilot, skydiver, and BASE jumper, adventure is the name of the game for the veteran of the British army. Jamie Flynn has spent the year flying from his home base in Vancouver, Canada, to different destinations around the world in search of the next epic experience. From Kuala Lumpur to Idaho to Moab to Yunnan to Rio de Janeiro and so many other spots in between, there’s almost nowhere the adrenaline junkie won’t go for a jump. 2016 was also the year that Jamie Flynn signed on to be a brand ambassador for Bob’s Watches. And because of his lifestyle, we picked the Rolex Explorer II to be his trusty companion. The robust Rolex watch is made specifically for men just like Jamie Flynn. You know the kind. The ones that willingly jump off of tall buildings and flying planes, or scale insanely high peaks just because. The original Rolex Explorer was made for men just like that. In fact, the very first Explorer was a tribute to Sir Edmund Hillary and Tenzing Norgay—the daredevils of their day—to honor their historic climb to the summit of Mount Everest in 1953. The Explorer II is the modern interpretation of that vintage Rolex and perfectly suited for today’s thrill seekers like Jamie Flynn. The Explorer II is the modern interpretation of that vintage Rolex, perfect for today’s thrill seekers. Its 40mm tough stainless steel case houses a large clear dial for great visibility. Plus, the luminescent hands and hour markers provide legibility even in the darkest of conditions. What’s more, the Rolex Explorer II keeps track of two time zones thanks to its 24-hour hand and engraved bezel—ideal for globetrotters like our ambassador. We have no doubt that Jamie Flynn’s high-energy lifestyle will put that Rolex Explorer II through some punishing conditions. But we know it was built to withstand just that. Thankfully, Jaime gives us a glimpse of his awesome escapades with plenty of videos and pictures. If you are like me and enjoy seeing the crazy stunts from a distance while having my feet planted firmly on the ground, then you’ll love Jamie Flynn’s video. Especially cool was his adventure in Rio de Janeiro when he flew right past the Christ the Redeemer statue in his wingsuit. While 2016 was a fantastic year for Jamie Flynn, we can’t wait to see what he’ll be up to next year. Join him for the ride by following him on Instagram here, Facebook here, or YouTube here.